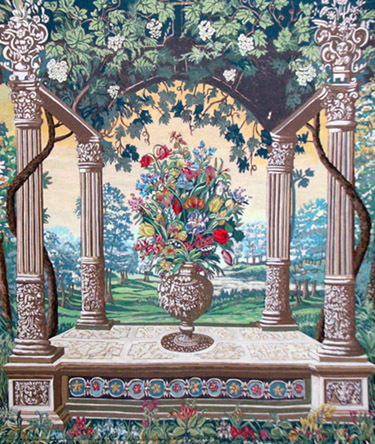 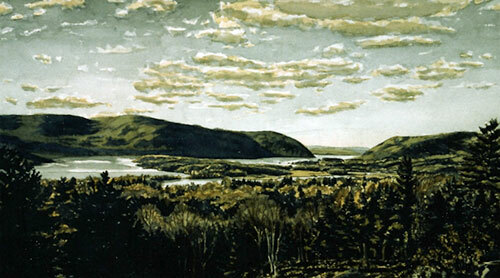 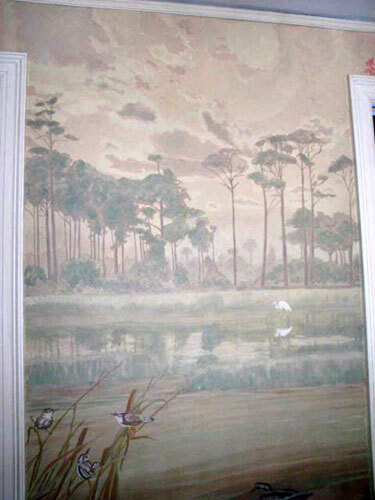 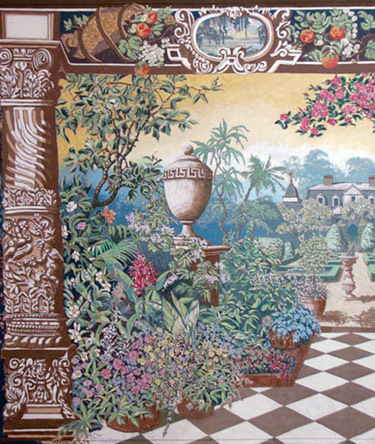 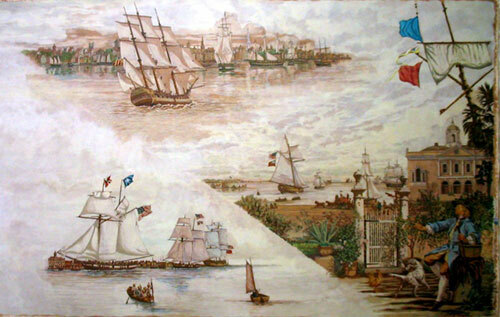 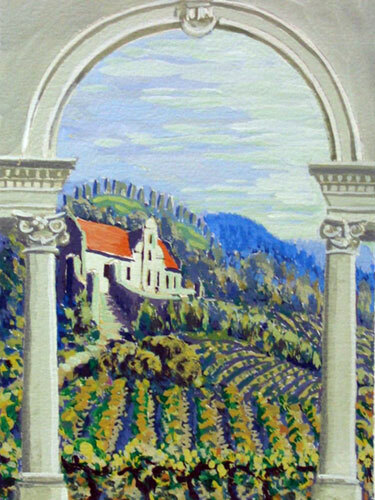 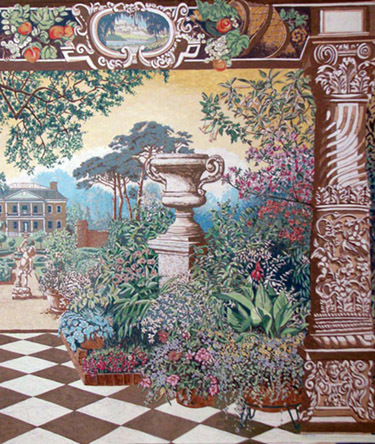 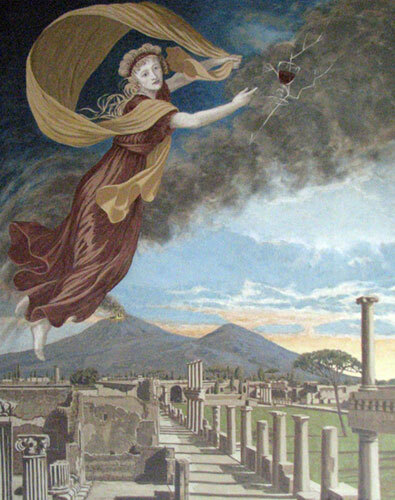 The technique of painting murals on canvas has been around for centuries and is called by the French term, marouflage. 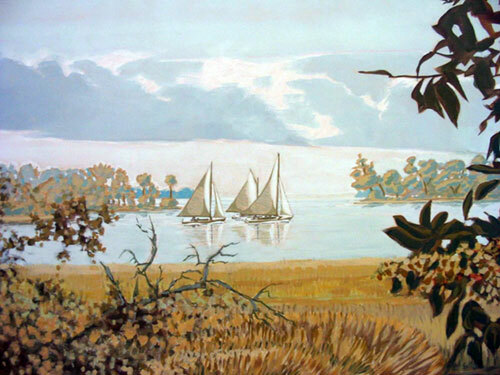 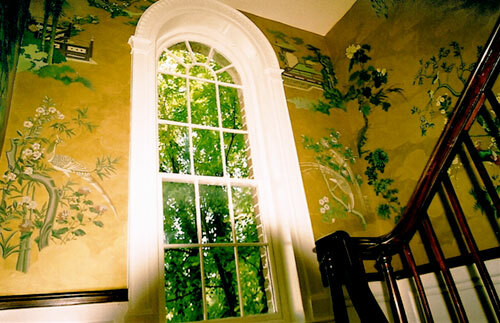 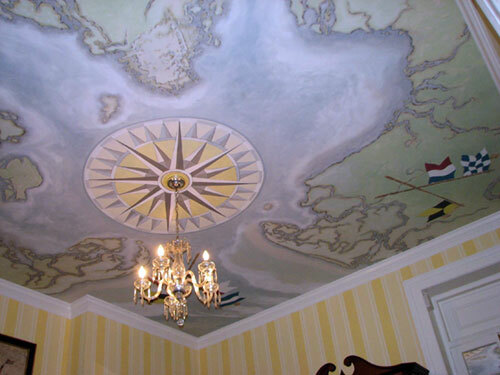 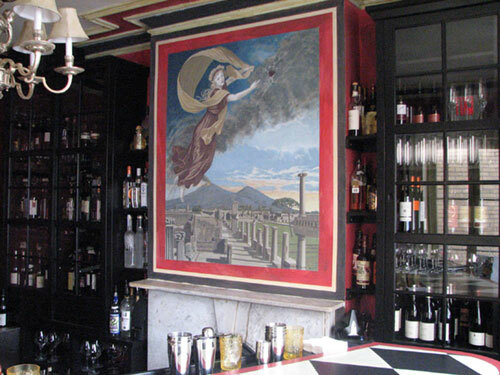 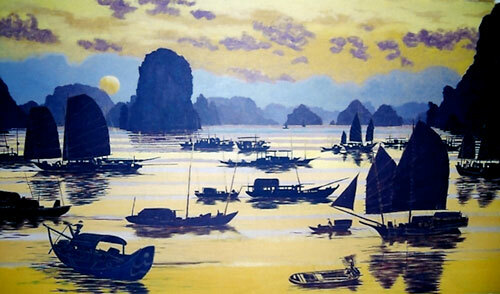 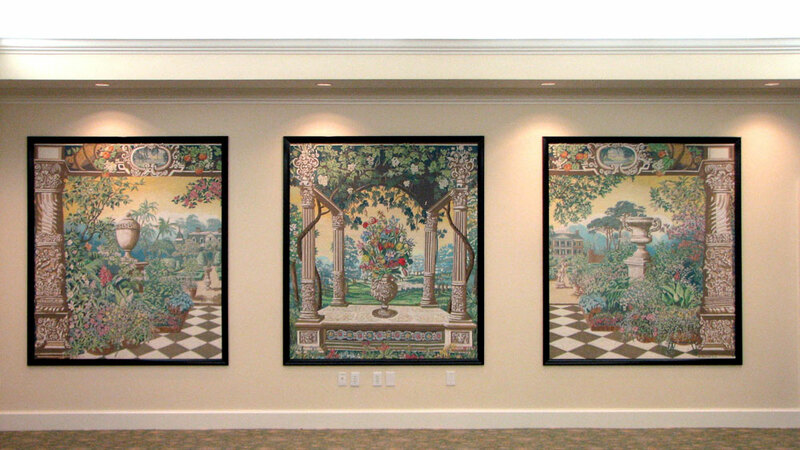 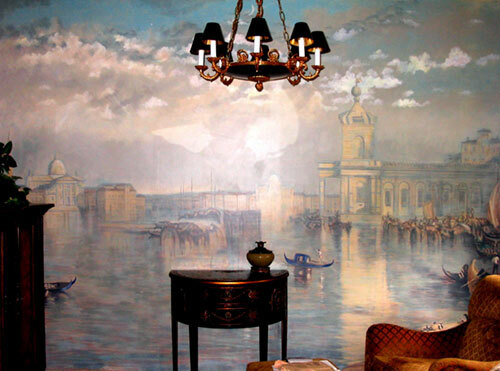 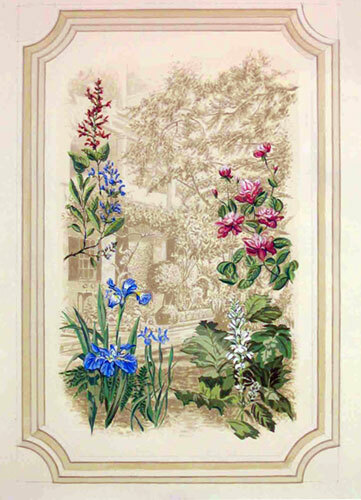 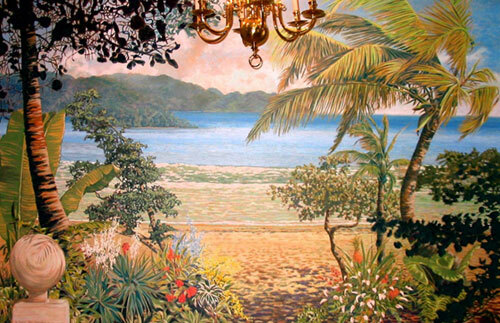 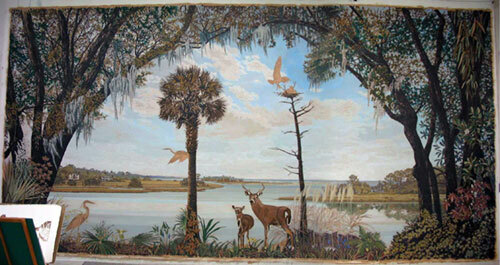 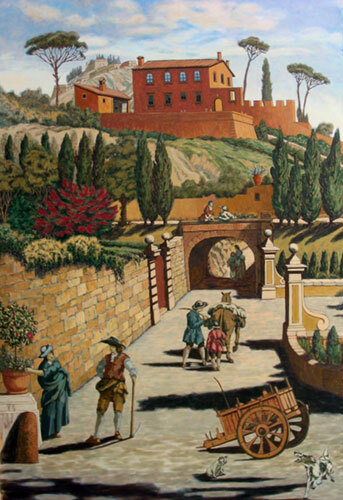 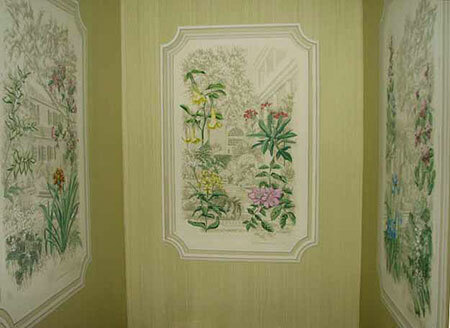 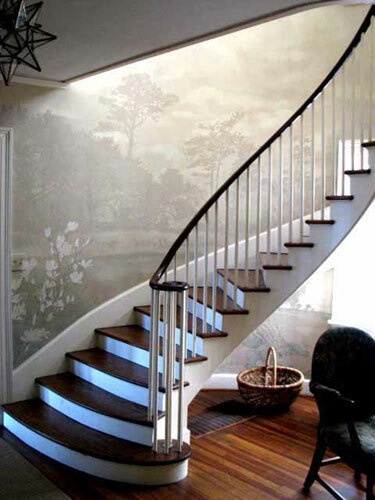 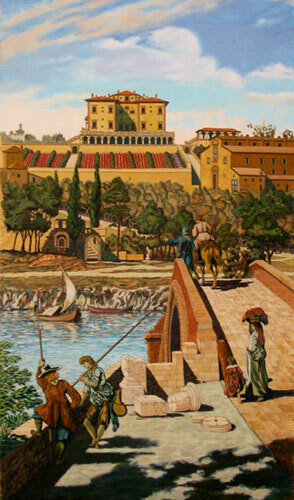 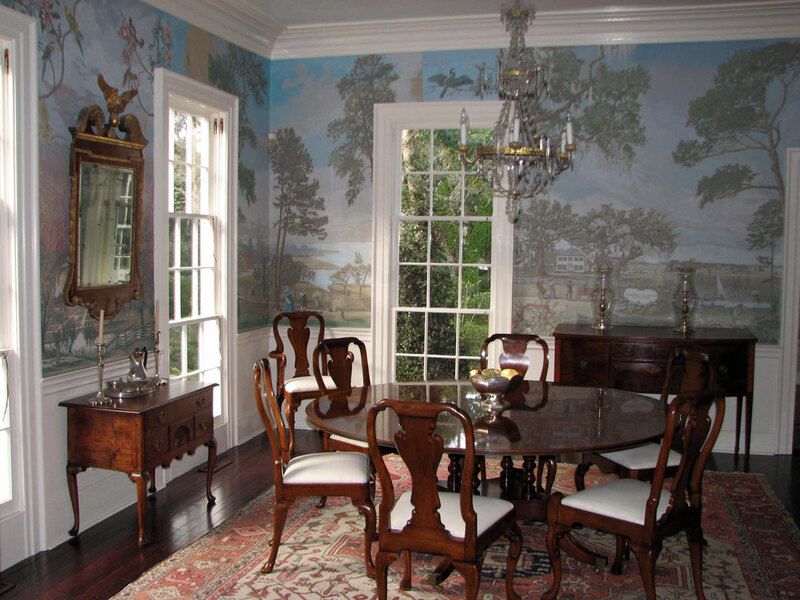 Murals painted on canvas have the integrity of being independent and transportable works of art. 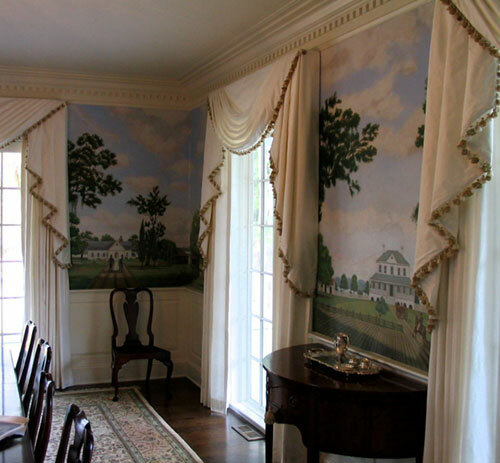 They do not necessarily become a permanent part of the building to which they are attached. 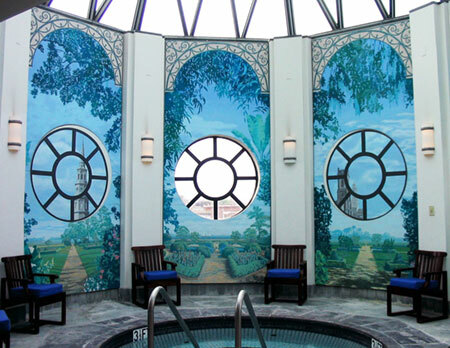 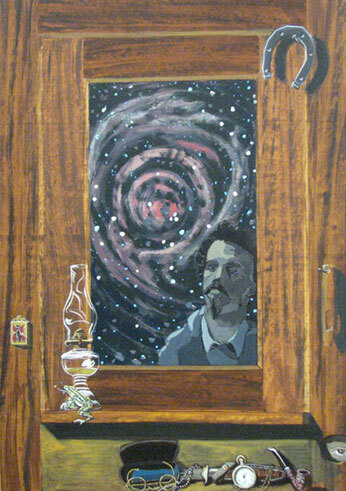 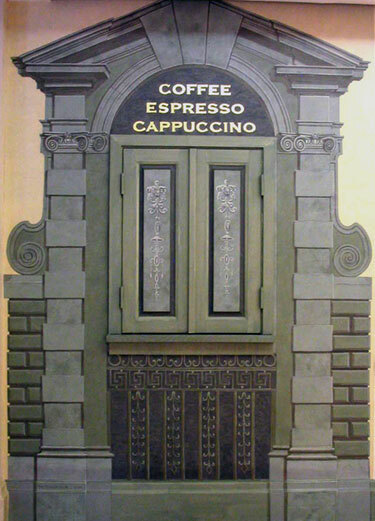 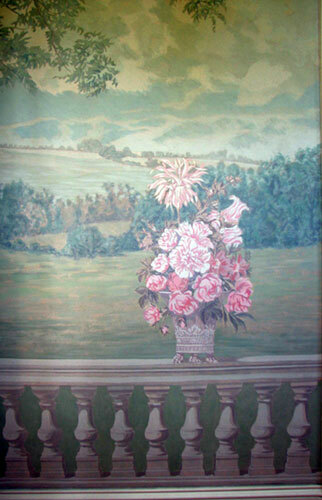 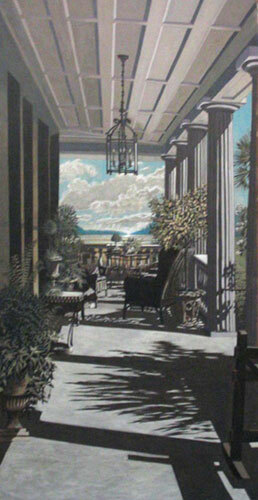 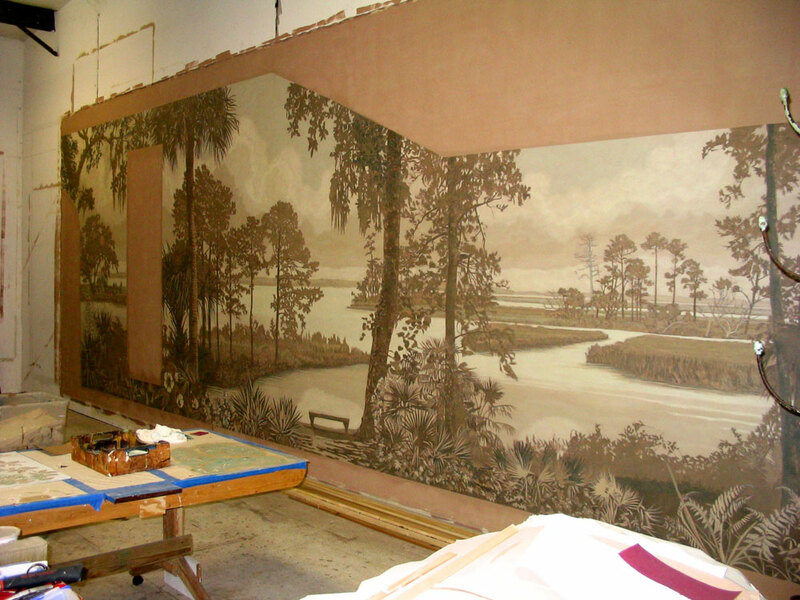 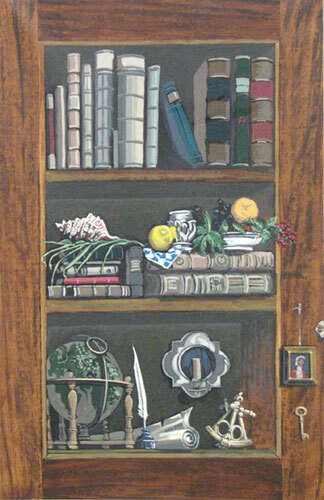 Murals can be painted in the controlled conditions of the studio. 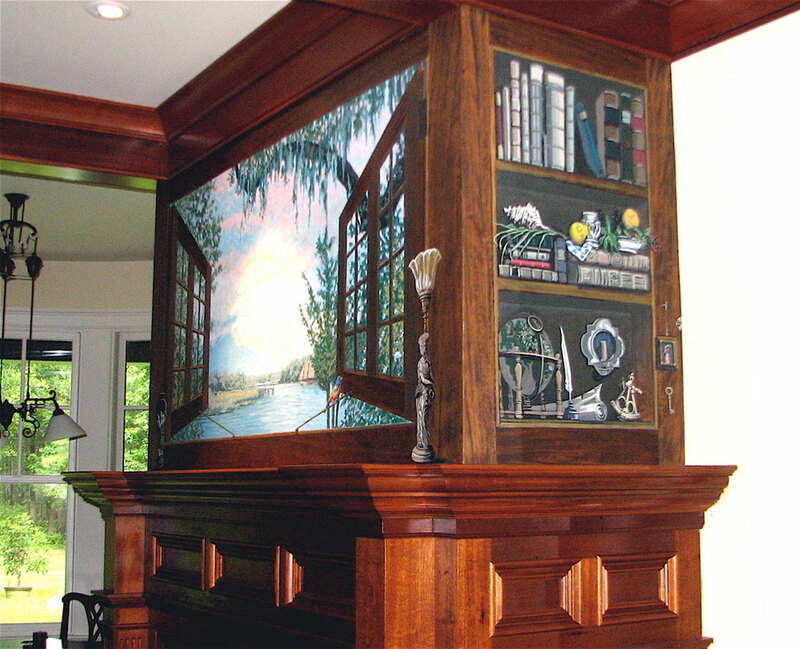 The artist is able to work under the best circumstances and produce a superior result. 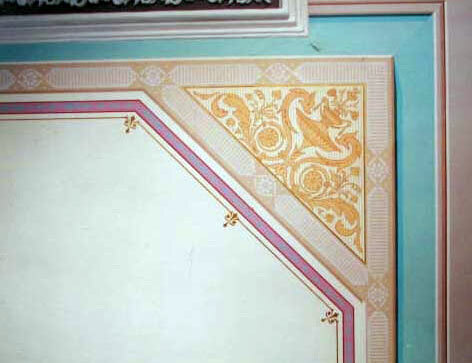 This technique also greatly reduces the inconvenience to the client who is minimally disturbed during the brief installation process at the end of the project. 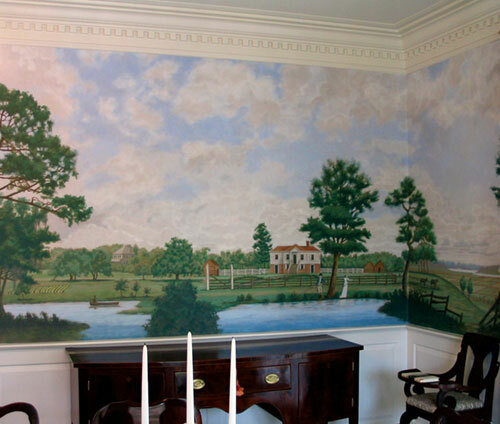 If a situation should arise where repairs or alterations need to be made to the sub structure behind the mural it can be temporarily removed and then replaced. 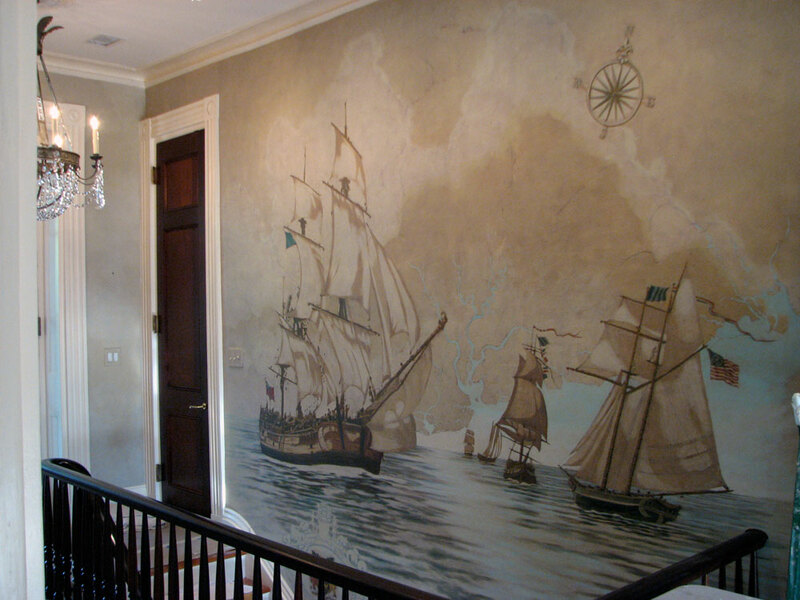 Murals can be rolled and shipped anywhere in the world. 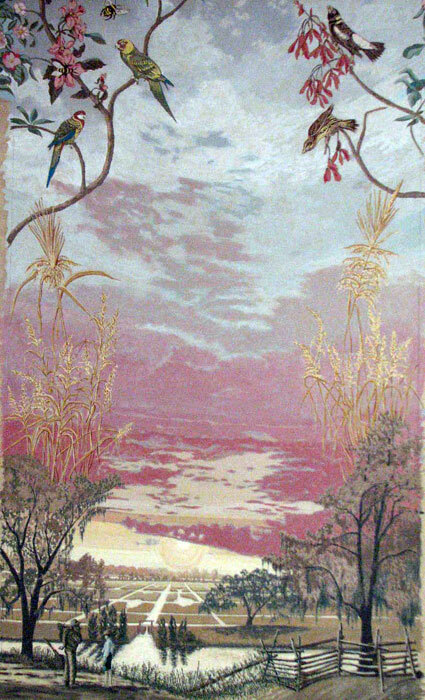 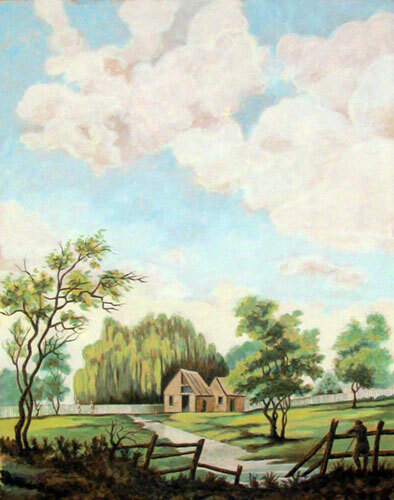 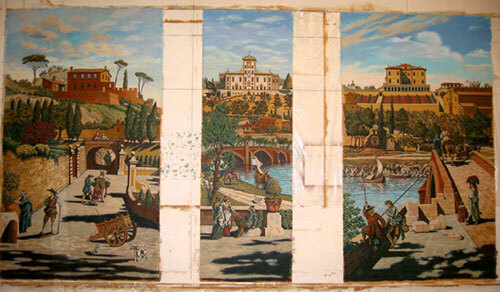 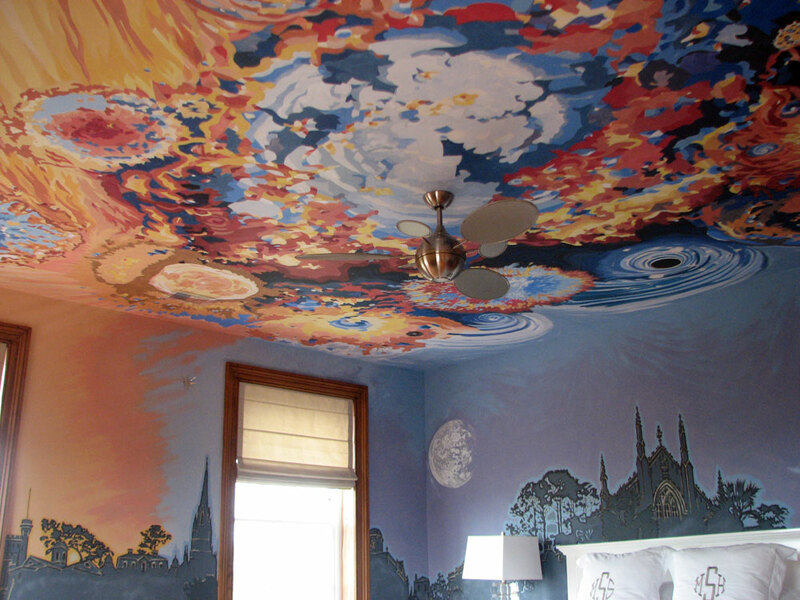 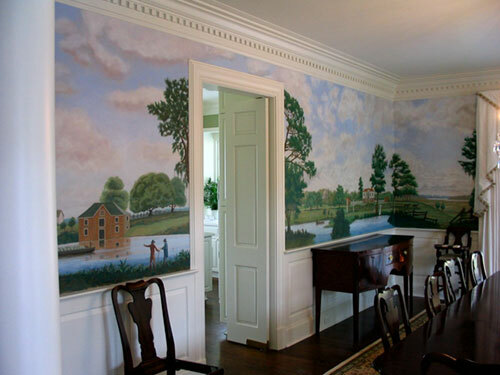 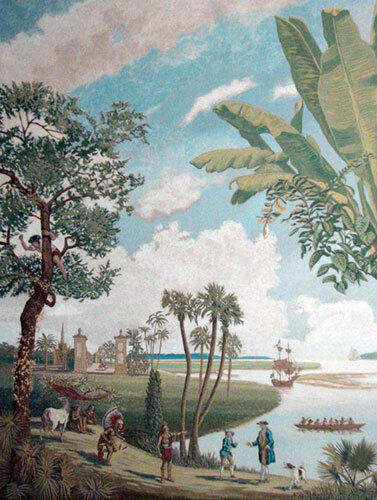 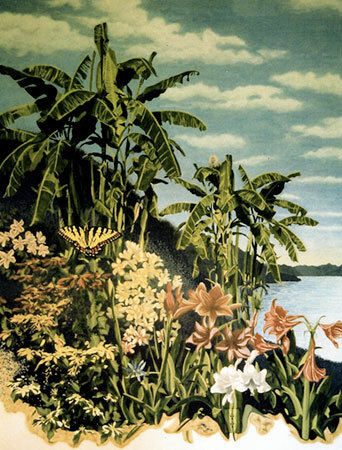 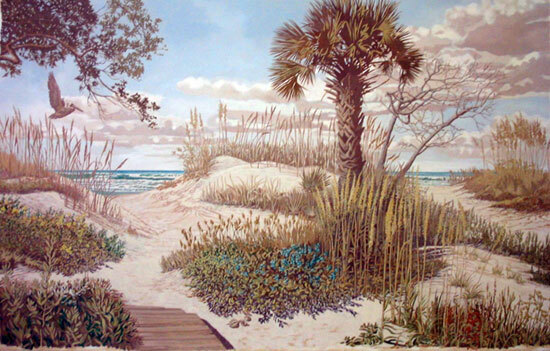 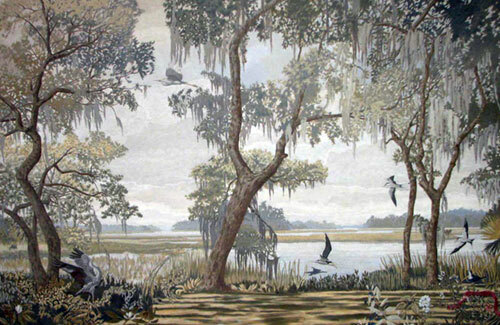 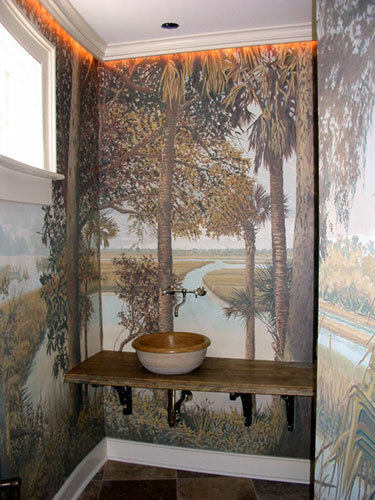 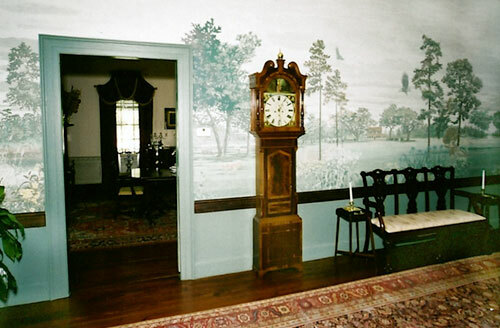 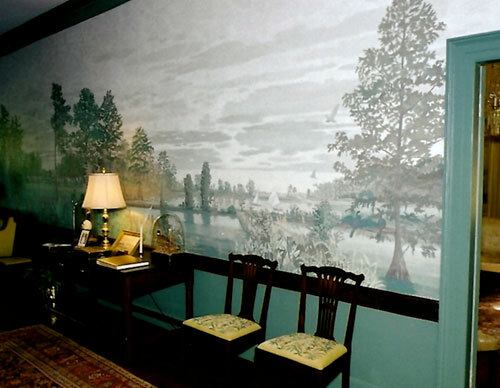 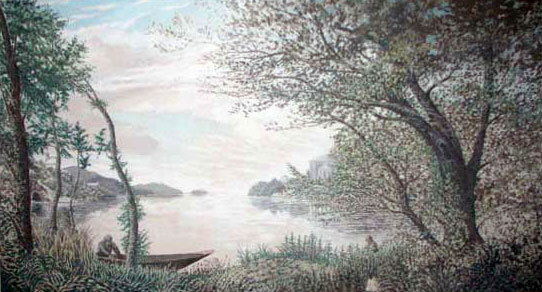 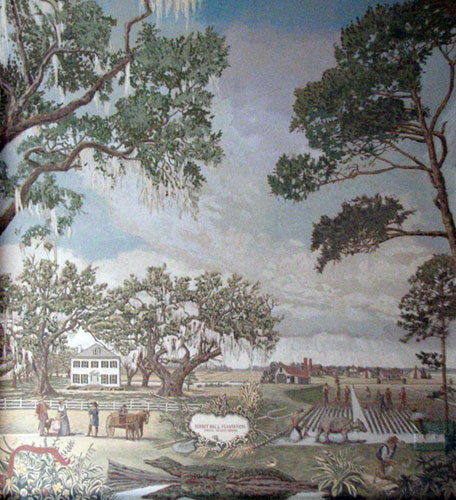 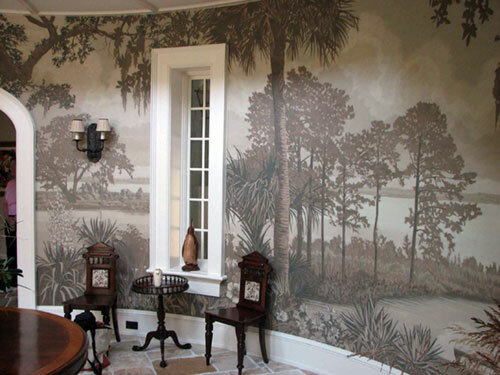 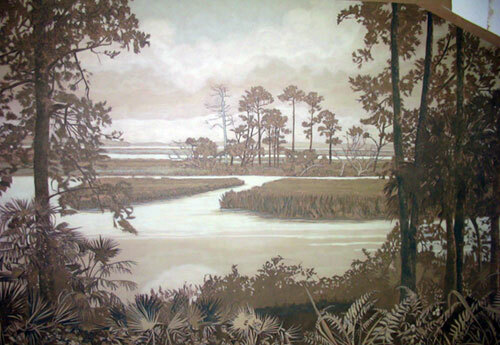 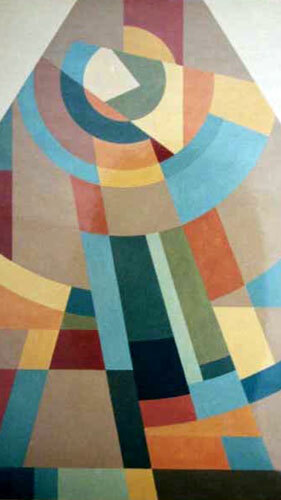 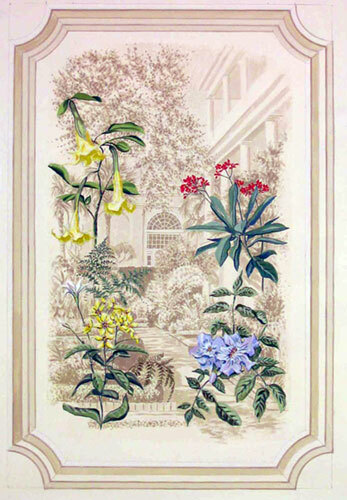 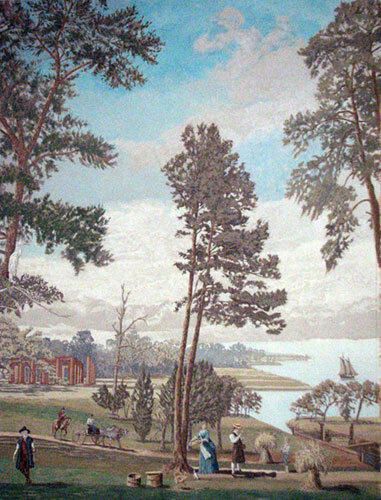 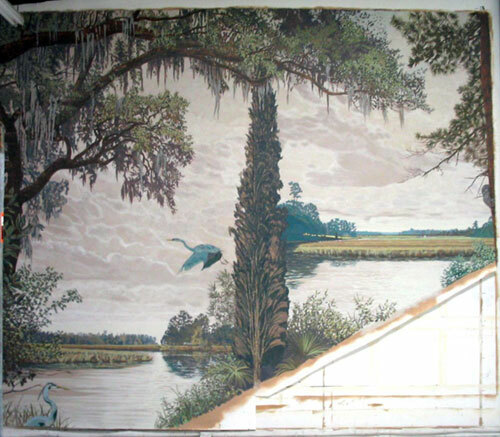 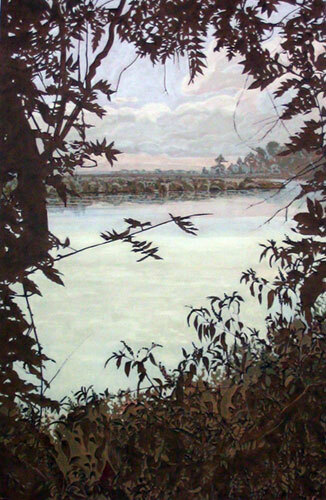 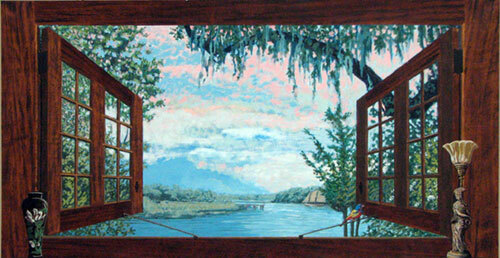 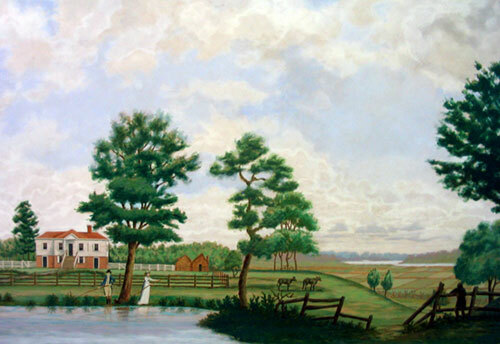 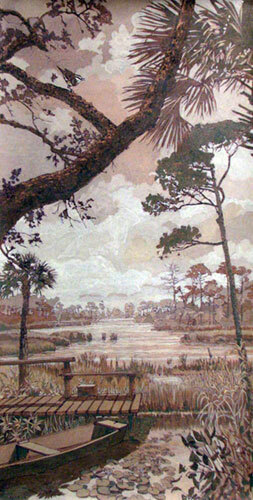 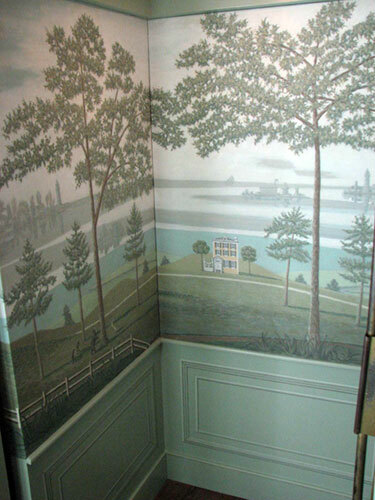 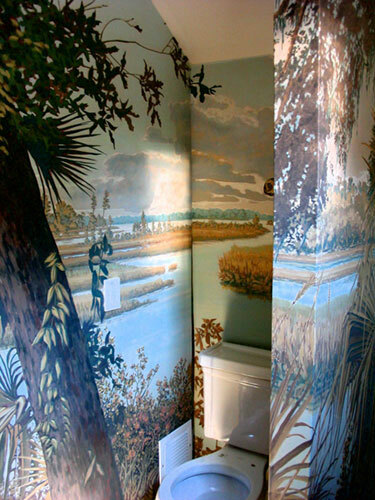 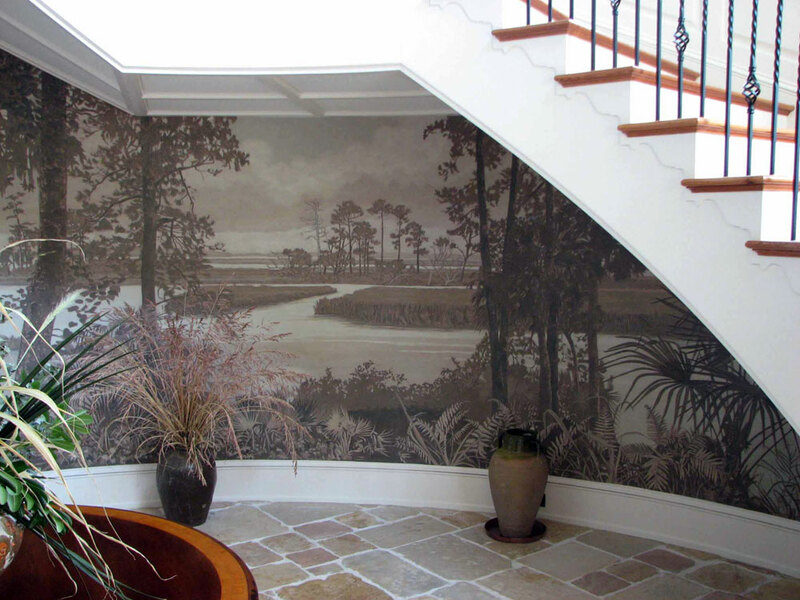 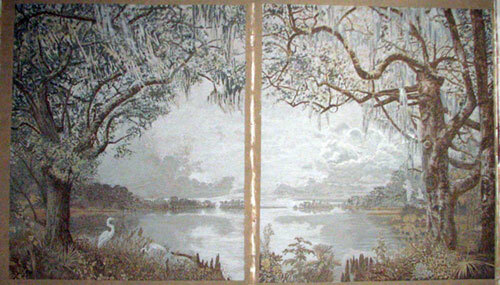 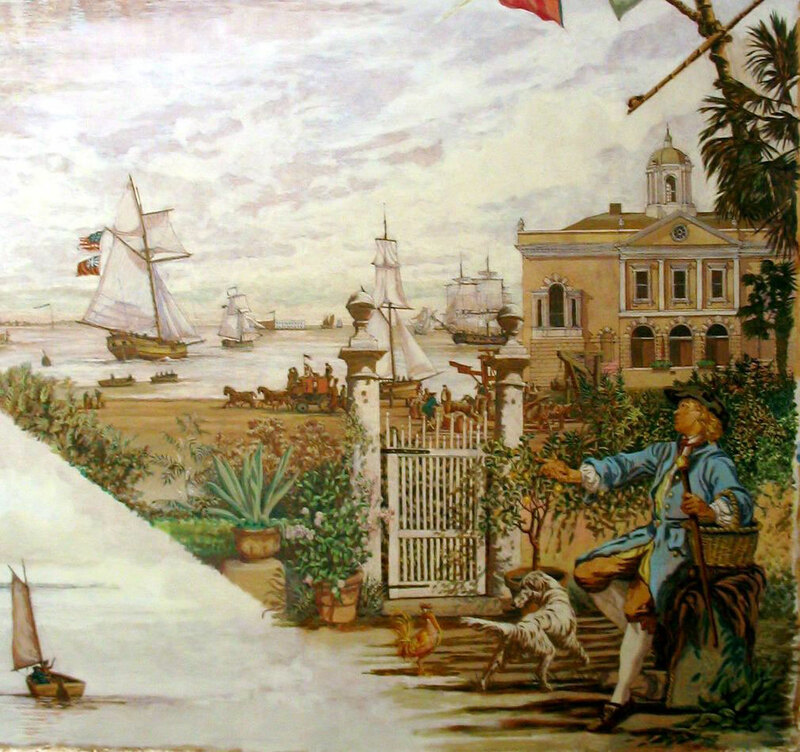 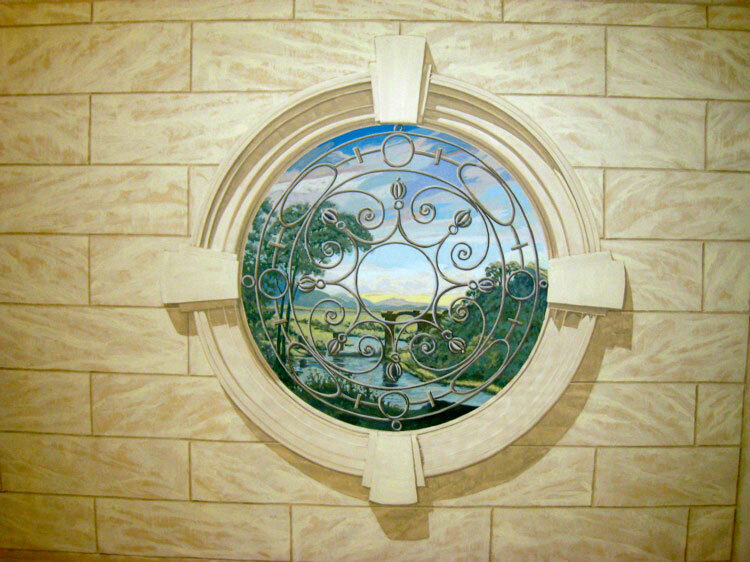 Once canvas murals have been installed, they blend into and appear to become a part of the surface to which they have been applied just as if they had been painted directly on the surface. 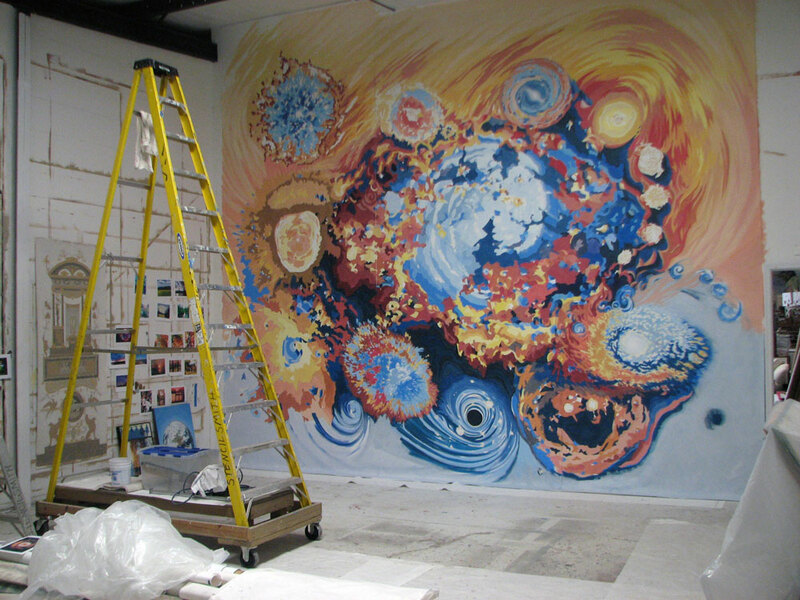 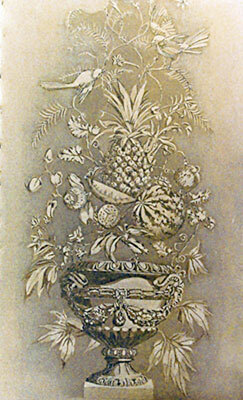 See section, "Commissioned Work", for more details on the mural process. 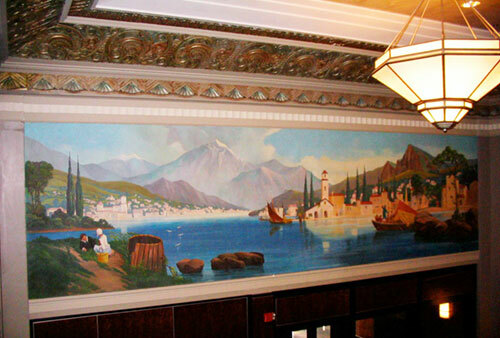 Herewith are a variety of murals I have painted in the last few years.